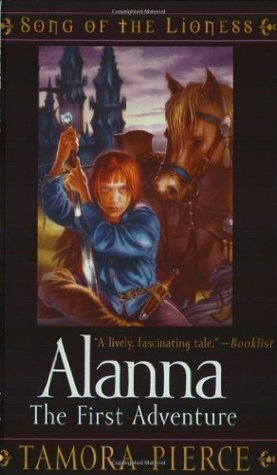 I still can’t believe that I made it through my entire adolescence without ever reading a single Tamora Pierce book. I was aware of the books, obviously, but I never bothered to pick them up. This was mostly due to my childhood belief that once I found a book I really liked, there was no reason to read anything else – this is why I read Lloyd Alexander’s Chronicles of Prydain series multiple times in elementary school, but never bothered to seek out similar series or even any other books by the author. In fact, I remember not being interested in Harry Potter until my best friend in sixth grade gave me the first book for my birthday, essentially forcing me to read it and find out that I loved it. I only wish someone had done this with the Alanna books as well, but better late than never. History books are tricky beasts. You want them to be well-researched, by someone with impressive scholarly credentials who knows what they’re talking about, but you also don’t want a droning lecture. The people who write popular history books are dismissed in the scholarly community because they are not “real” historians (like my favorite, Alison Weir, who apparently is not a historian, but merely a writer with an interest in history), and the real scholars who write history books often have no idea how to present their information in a way that is interesting and engaging to the general population. Obviously it’s better to read a history book written by someone like William C. Davis, who is a history professor and has clearly devoted years to researching the Laffites and is probably the most knowledgeable source on the infamous pirate brothers. 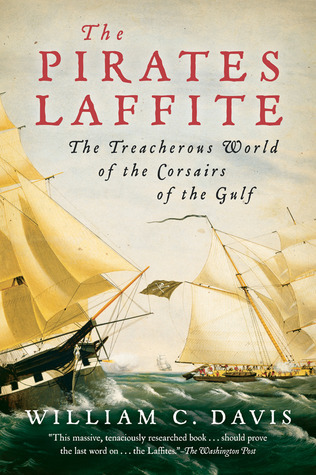 Anyone wanting to learn about Jean and Pierre Laffite, who smuggled goods and raided ships on the Gulf coast in the waning days of piracy, would naturally turn to Davis’s book for the best information. It has almost 200 pages of notes alone, that must mean it’s the best source, right? 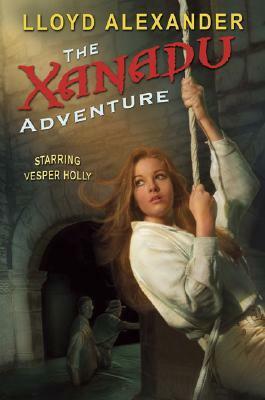 Five books into the Vesper Holly series, Lloyd Alexander finally switches up his formula, and it’s a welcome change. I don’t mean that Dr. Helvitius isn’t present – hahahaha no, sadly, this useless villain is still the main antagonist, and it’s gotten to the point where I don’t even want to discuss him in my reviews because I’m so tired of him – but this isn’t a typical Vesper Holly adventure in every other sense. When I decided to start my current project of reading all the fantasy/adventure books I should have read when I was in middle school, one of the rules I set for myself was that whenever I started a series, I would have to see it through to the end (it’s how I plan to force myself to get through The Golden Compass when I re-read it, because I remember disliking it for some reason when I first read it in seventh grade). 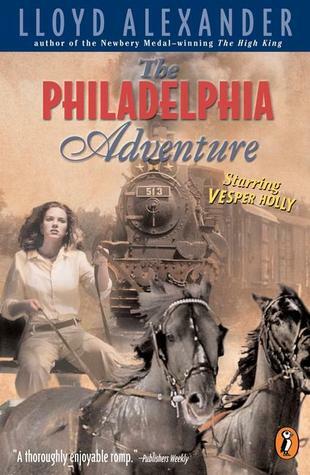 I have two books left in the Vesper Holly series, and I’m still going to read them, but the fact remains that if I was reading this series as a kid, The Jedera Adventure would probably be the book that convinced me to abandon the series.